KEVIN.MURPHY is a fashion focused range of salon professional, hair care products created by stylist Kevin Murphy to meet his needs as an editorial hairstylist. The College’s Art and Design students entered the internal competition, which was called ‘TEMPT.ME’, in which they needed to promote the KEVIN.MURPHY brand of hair care products. 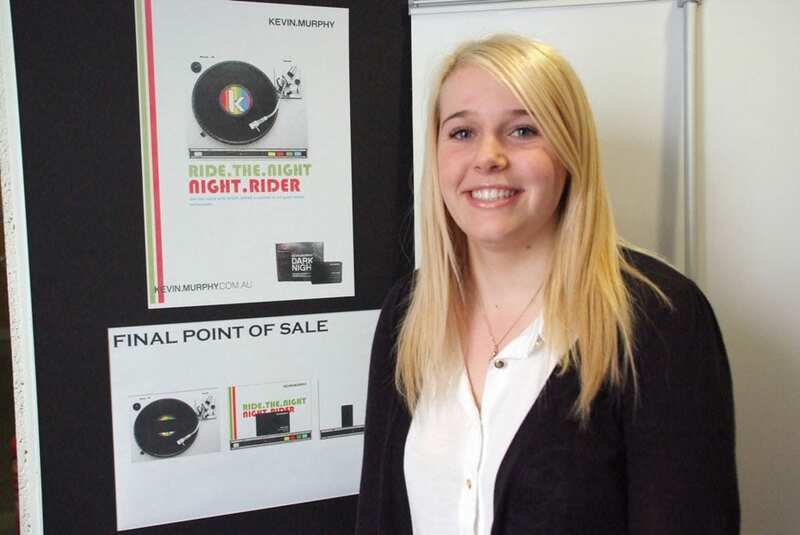 The students had to produce three items – an in-salon poster, point of sale display and double page spread in a magazine of the designer’s choice. Nelson and Colne College Sixth Form has an long-standing reputation for excellence in the arts. Each year, the College sees students progress to some of the best universities and art schools in the UK, including the Edinburgh College of Art. Students progress onto courses in Set and Costume Design, Fashion, Fine Art and of course, Graphic Design. Some students go straight into work in the industry, with skills which are relevant and praised by local industry.